Google recently announced in their blog the launch of mobile app indexing. 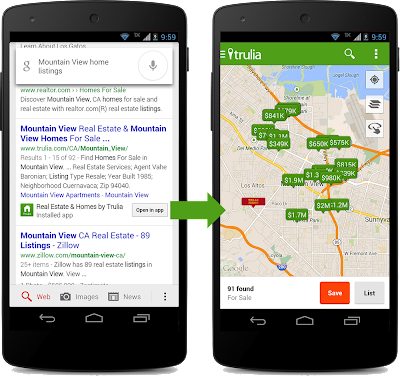 This is a great feature that will enable hundreds of android apps to get indexed and ranked on Google search results. This is a good news for SEO's as now along with keyword ranking of websites, mobile apps would too get ranked on Google based on relevance and popularity. Job responsibilities if SEO is set to widen with this introduction by Google. Just as websites, Google will now be able to index the contents of your Android App. Once the contents gets indexed by Google, it will start to rank them based on the relevancy, popularity and the searcher's reach for the app. 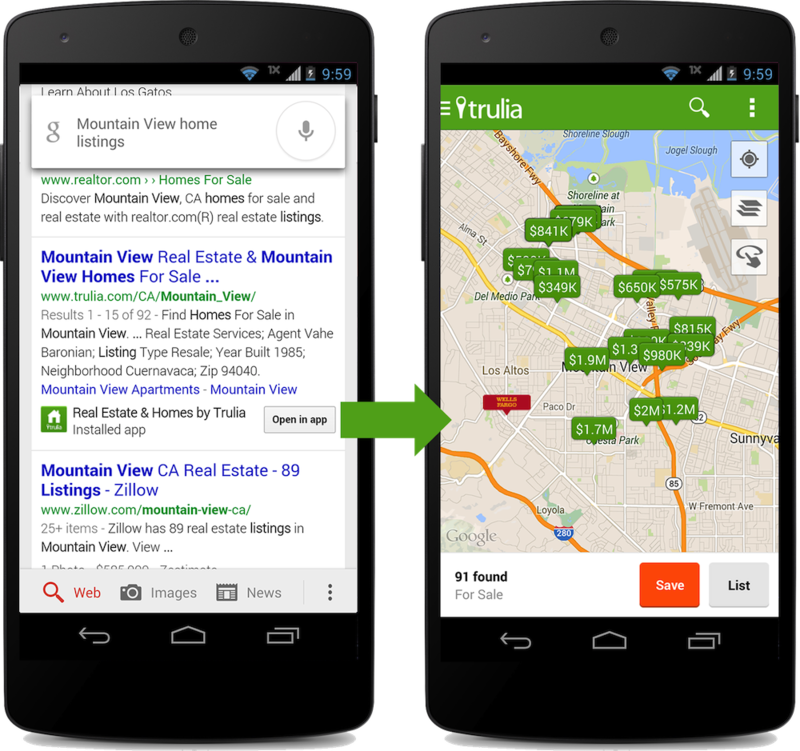 A search for home listings in Mountain View shows real estate and homes by trulia app for Android along with the regular search containing websites. 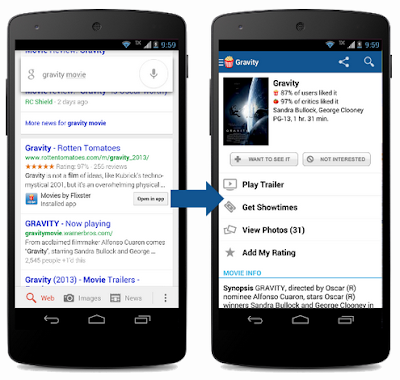 A search for movies displays links to movie apps. The user can click on "Open in App" deep links and move directly to the app. 1- Make sure that your Android app supports deep linking. 2- Add app deep links to your sitemap and resubmit the sitemap with the help of GWT. When Will An App Get Displayed in Google Search Results? The app should be specified as an alternative for the web page. Google properly indexes the contents of the app. User has already installed the app on his android enabled device. If all the four requirements gets fulfilled then your app will start to rank in Google search results provided that the relevancy and popularity of the app are good. This feature will start to display within a few weeks in US for all android enabled devices. Currently, Google supports only Android app, no iPhone apps.